Why, oh why? Why am I up? Portland city lights winking out my studio window. Fewer with each passing moment past Cinderella hour. Seriously. Why am I up. Because this is when I can work. In the bluelight hours (more boringly called day), I teach. I fix our home. I play with my children and bride. And frequently try to work. 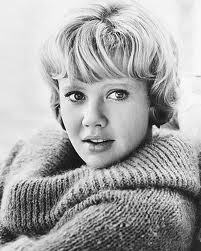 But the siren call of too many other obligations, commitments, and Hayley Mills movies is strong. Too strong. I can do some work in those bluelight hours. But other work, I need blocks of time; a linear chunk of time to get immersed and down to business. I call it "Cinderella work." Note: I just invented both those terms as I was writing. Bluelight and Cinderella. Hayley Mills. Love her and her chirpy, cheerful English cadence. We just watched the original Parent Trap with Magdelana. What a terrific, silly film. And all the scandalous subtext underneath the adult chitter-chatter...the subtle intonations and inferences in the dialogue of those '60s, times-a-changin' movies is so charming...what a sweet film. Despite the horrendous bluescreen footage in a couple scenes. Some things you shouldn't skimp on with the budget. And Magdelana loved it. Is it too late to get her a British accent? Is too late for me to get one? Family discount? Can't wait to watch Amélie with her someday. He lights up when she bounds into sight. Eyes start fluttering, Jupiter-size grin breaks out. Arms pumping and legs a-skatter as she plops all around and over him. Hi Johanni! Hi! Hi! Did you miss me? Yes, I'm sorry I wasn't here, don't be mad. Okay Johanni? Okay? Don't watch the television - here, I'll cover your eyes. No! No, you're not supposed to be watching television, silly Johanni! And he glug-smiles and drools litres and leaks spitup as he and Big Sister snuggle. Like their Mum and Dodes. We are snuggly family extraordinaire. What's not to love about Hayley Mills and British accents? What's not to love about long, uninterrupted stretches of time to get immersed in work? What's not to love about the sibling bond?